Aah, Glenmorangie. I’d been warned by those in the know that this would be a highlight of my journey; the first one I was likely to really enjoy. Boy, were they right. This is the first time I’ve caught myself refilling the glass with anticipation, and letting my mind wander off to some ridiculously enthralling fantasies as I drank. A very interesting single malt indeed, but let’s start at the beginning, shall we? 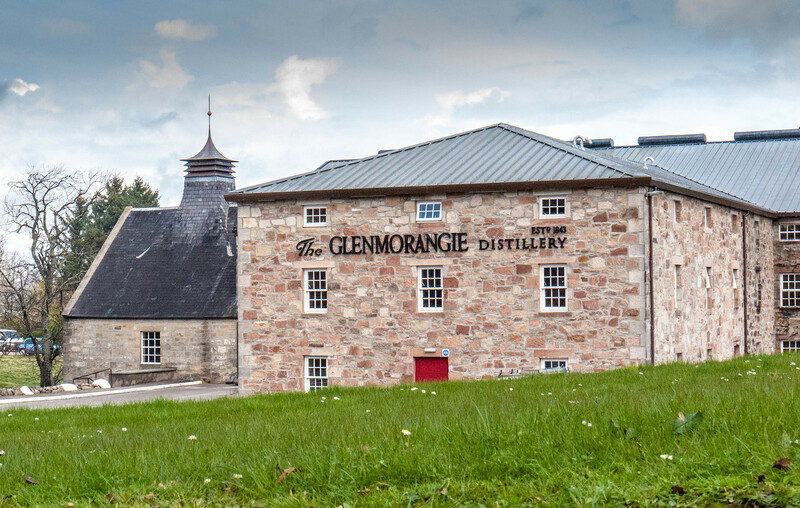 The Glenmorangie distillery was founded in 1843, when William Matheson bought the Morangie farm in Tain and converted its brewery into a distillery, renaming it Glenmorangie. 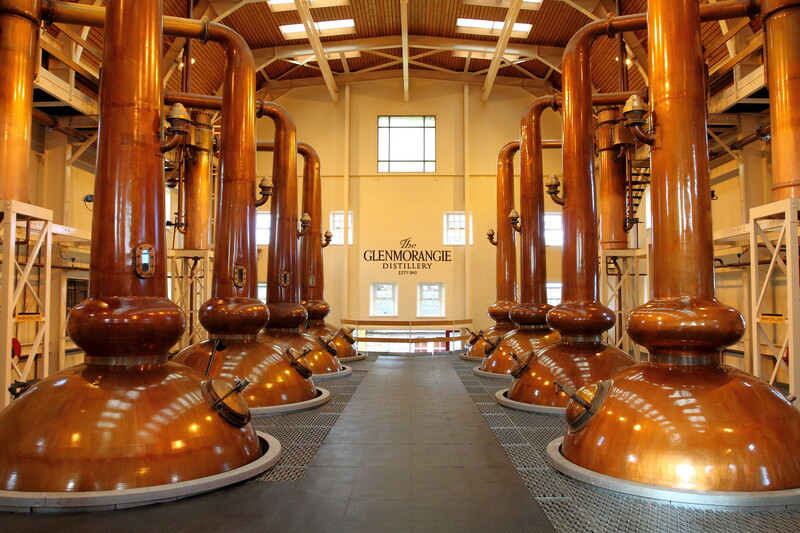 Glenmorangie is a Highland distillery, and boasts the tallest copper stills in all of Scotland. They use water from the Tarlogie Springs, which are the reason the Morangie farm was there in the first place. 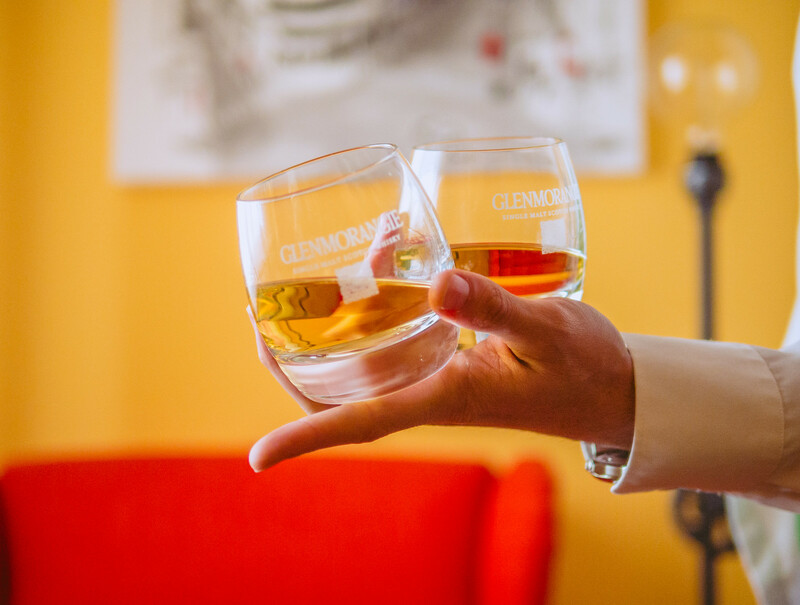 In order to guarantee the necessary water supply, Glenmorangie bought approximately 600 acres (2.4 km2) of land around the springs during the 1980’s, when the area started to develop and competition became more likely. Since its origins, the distillation process used by Glenmorangie requires a staff of 16, known as The 16 Men of Tain, who learn the craft of distillation via hands-on experience and then personally pass on their knowledge to their successors. They work year-round with the only exception of Christmas and periods of maintenance. 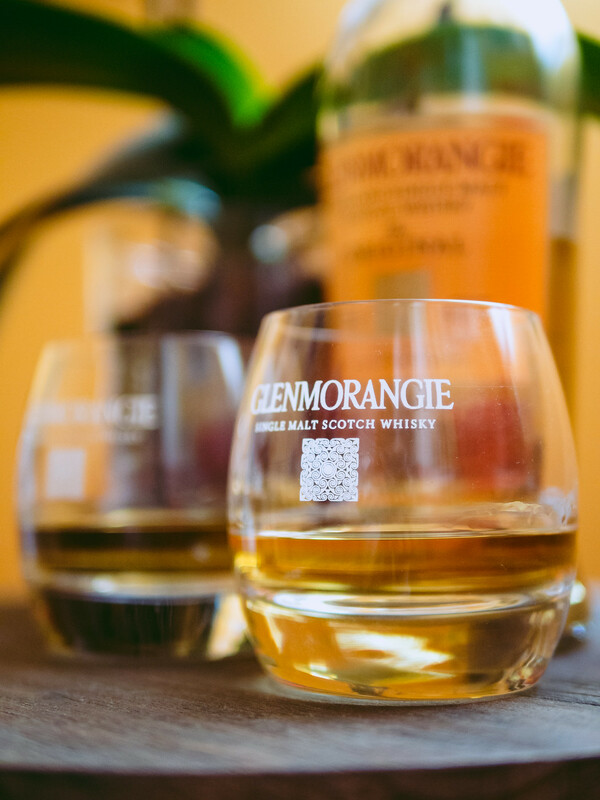 According to their official website, Glenmorangie currently produces 15 different single malt whiskies. That’s pretty impressive and I’m sure there’s a variant in there to suit most anyone’s preferences. Their core product, however, is The Original, a ten year old single malt whisky, matured in ex-bourbon oak casks and which they describe as “soft, mellow and creamy”, as well as “perfect for enjoying at any time”. I’m usually pretty skeptical of claims made in marketing product pages but I have to say, they really nailed this one. 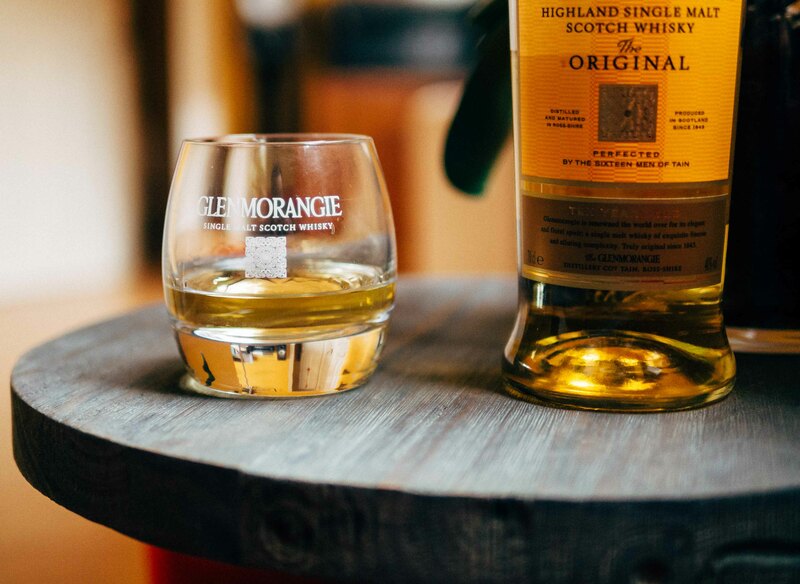 Knowing how to market and sell a good product is arguably as important as the product itself and here, Glenmorangie excels. Approximately ten years ago, they redesigned all of their products in an attempt to gain international recognition as a luxury brand, albeit still clearly aimed at the mass market. As a result, they now boast some really impressive designs across their product range that start with the elegant curves of the bottles and go all the way to the packaging and presentation. 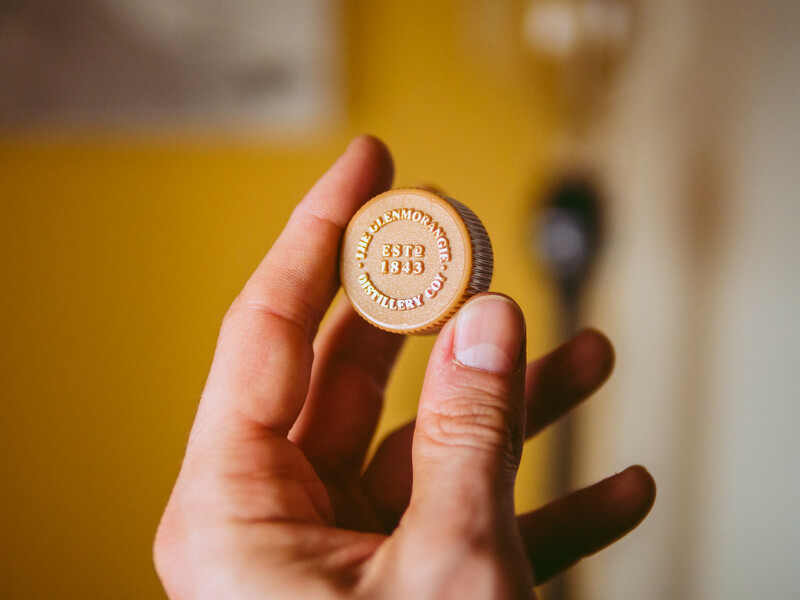 In the case of The Original, the design is garnished with several nice touches, such as the engraving on the cork which reads 1843, the year of the distillery’s foundation. The Original is a light-colored single malt. I would say it’s between 0.2 (pale staw) and 0.3 (pale gold) on the Whisky Magazine color chart. 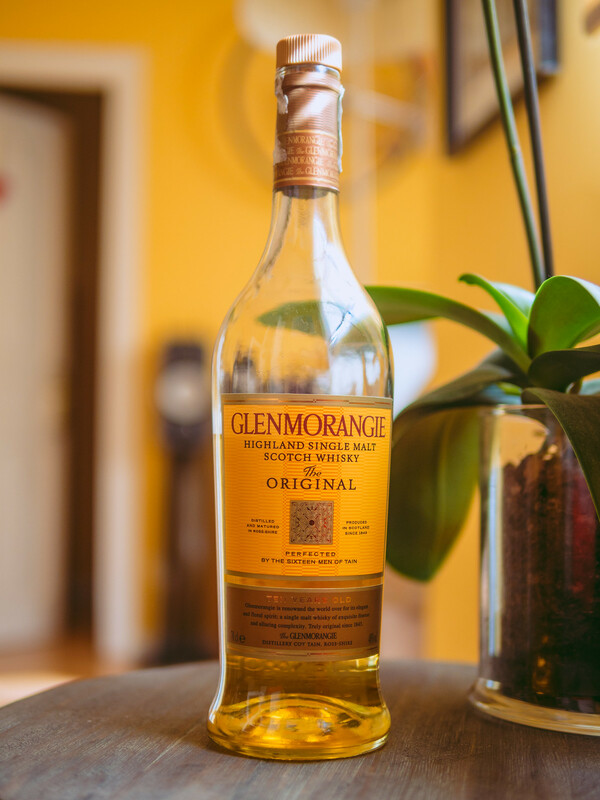 Now, Glenmorangie uses caramel coloring in their whiskies, albeit “only for standardization”, according to their Head of Distilling and Whisky Creation, Bill Lumsden. Sadly, that means there’s not much we can say about this whisky by its color alone. Here’s when things start getting interesting. My first reaction to The Original was of equal parts surprise and incredulity. I was expecting something along the lines of my previous single malt, Glenfiddich 12, where the first nosing is a bit harsh — although by no means unpleasant. Instead, I got a wonderful wave of spicy and oaky scents, with no traces of peat and no burn whatsoever. And that was even before adding a bit of water to open it up even more. As I got more acquainted with it, I slowly started to find hints of vanilla, followed by more oak and perhaps a bit of toffee. It’s certainly one I could spend hours inspecting without ever getting bored. There’s one thing though, I’m not quite seeing: both Master of Malt and All Things Whisky describe this one as fruity, but I’m not really finding lemons or peaches anywhere here. Of course, my nosing abilities still have a long way to go, so take this with the customary football-sized grain of salt. As a novice though, I’m quite fond of The Original already, and I’m sure I’ll continue to enjoy it for a very long time. Vanilla clearly dominates, but not overwhelmingly so. It’s like a pleasant landscape that sets the tone for the individual flavors to follow. Toffee is more apparent here than in the nose, and melds with the vanilla in a very harmonious way. I almost sense the fruit here, with some notes of peach in the back of my mouth. Or perhaps I’m just conditioning myself. In any case, it’s subtle and well-balanced. Very interesting, indeed. The Original is smooth, creamy and full-bodied, with almost no bite, particularly compared to the Glenfiddich 12. I could drink this one straight out of the bottle, but adding a splash of water makes it even better. There’s a discrepancy between Master of Malt and All Things Whisky when it comes to the finish of The Original. Curt, from All Things Whisky, criticizes it for being a tad too short, saying that “it doesn’t linger as long as I would hope for”, while Master of Malt rates it as “quite long”. I’m leaning more towards Curt’s opinion here. The finish seems a bit shorter than that of Glenfiddich 12, and I did notice I was sipping more frequently to maintain the taste — not that that’s a bad thing. 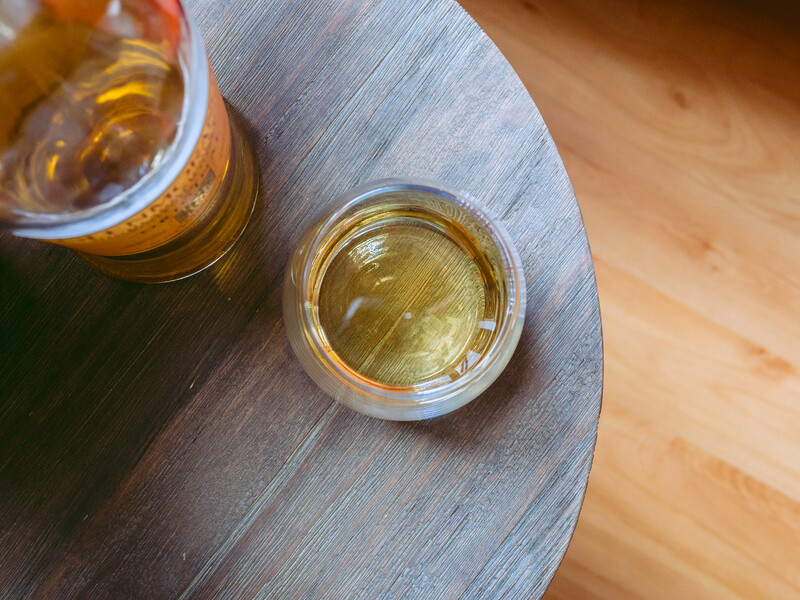 The Original is a sweet, mellow single malt that is best enjoyed while relaxing and pondering the ways of the world. At the end of a hard day, what could be better than pouring yourself a nice glass and kicking back in a comfortable chair listening to some Coltrane? Why, having two, of course. Indeed, as good as The Original is when you’re by yourself, when it really shines — as most good things in life — is when you’re in good company. So find yourself a close friend, uncork the bottle and get ready to forget about the rest of the world for a while. Trust me, you’ll be on your third dram before you know it. 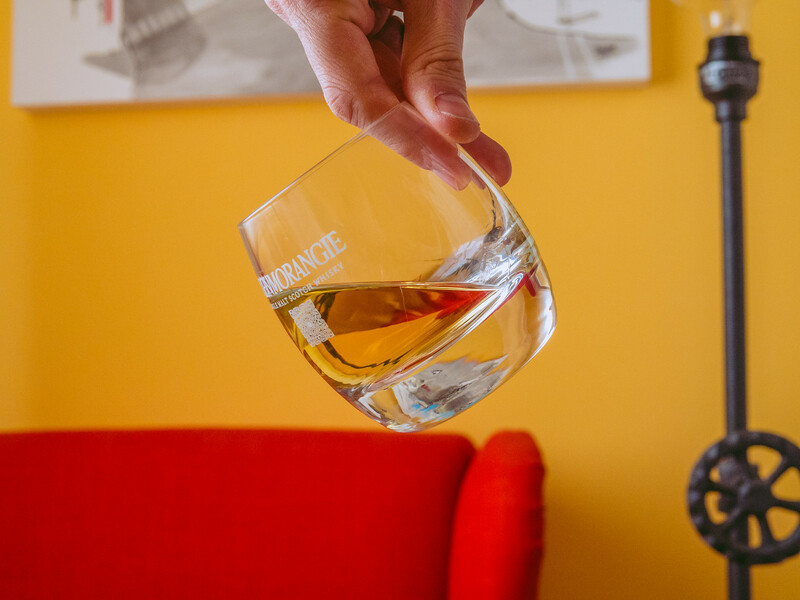 Conveniently — and there’s something to be said here for Glenmorangie’s marketing prowess — The Original comes in a set with two nice tumbler glasses decorated with the Glenmorangie logo. 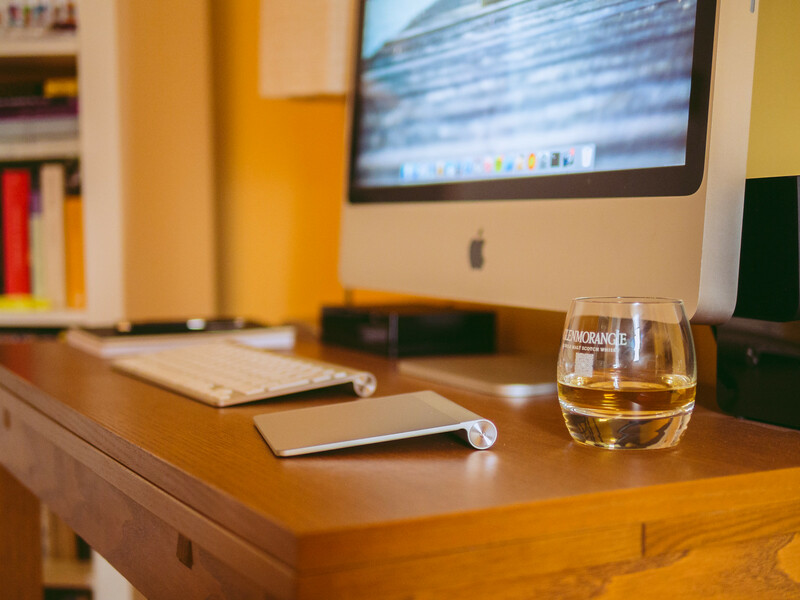 It’s a really nice set, a perfect gift for the whisky aficionado. This bottle of Glenmorangie The Original found its way into my liquor cabinet by pure chance. It was left behind — unopened and glasses included — by a friend at another friend’s house, and I happily rescued it a couple months later. By the way, thanks for sponsoring this tasting, Olivia! 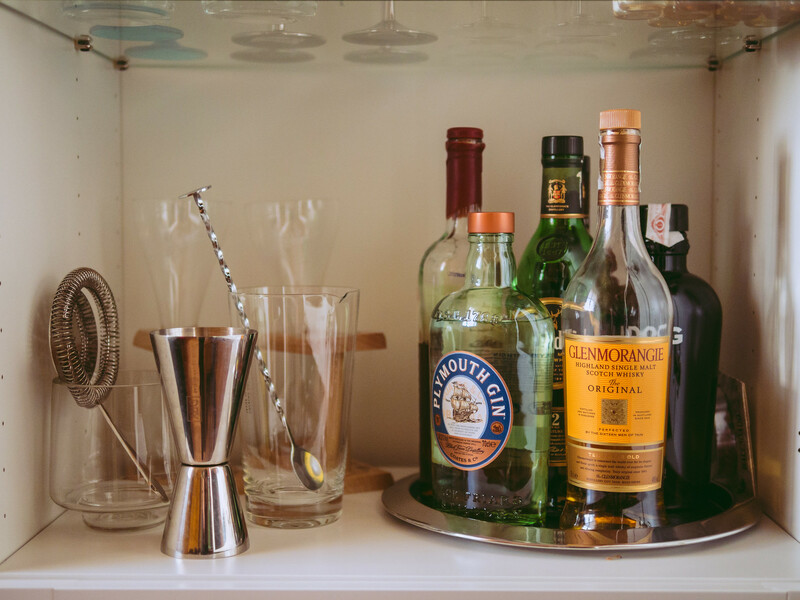 Having a well-maintained liquor cabinet has always been an interest of mine, and these days the competition for the two whisky slots in it is fierce. After just a few drams, though, I think The Original has already earned its place, at least until something better replaces it. I’m really looking forward to revisiting it in a few weeks and seeing how my appreciation of it holds up. 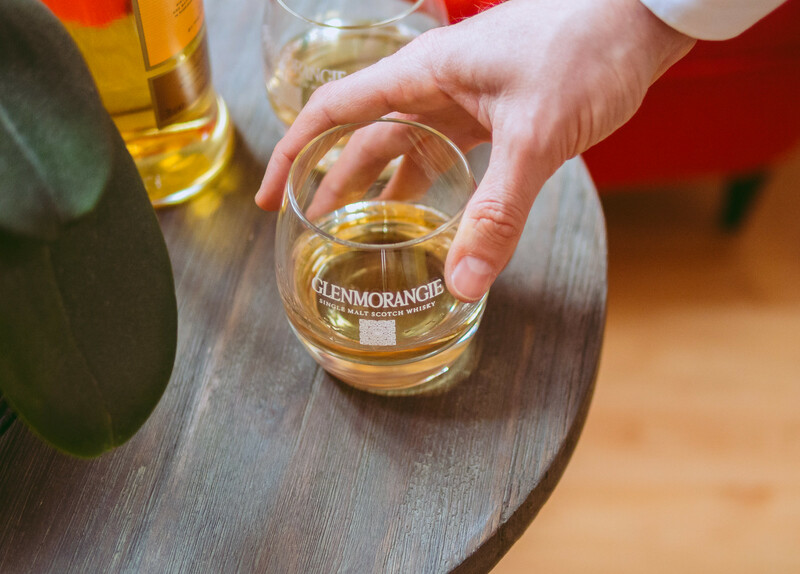 Glenmorangie has been the best-selling single malt in Scotland almost every year since 1983. I can’t really think of a higher compliment than that. Apparently, these Scots really know their whisky. If they love Glenmorangie, who am I to argue?